Gundy also said the “liberalism” of the system gives the players the option of not having to “fight though it,” NewsOK reported. “I think we live in a world where people are non-committal,” Gundy said to the collected media. “We allow liberalism to say, ‘Hey, I can just do what I want and I don’t have to really be tough and fight through it.’ You see that with young people because it’s an option they’re given. We weren’t given that option when we were growing up. We were told what to do, we did it the right way, or you go figure it out on your own. “In the world today, there’s a lot of entitlement. 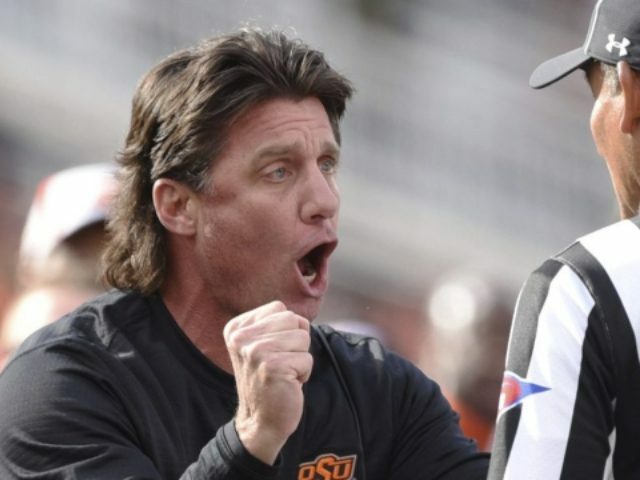 I’m a firm believer in the snowflake,” Gundy said employing the recent slap at America’s newest generation. “Don’t get me on politics,” Gundy concluded.